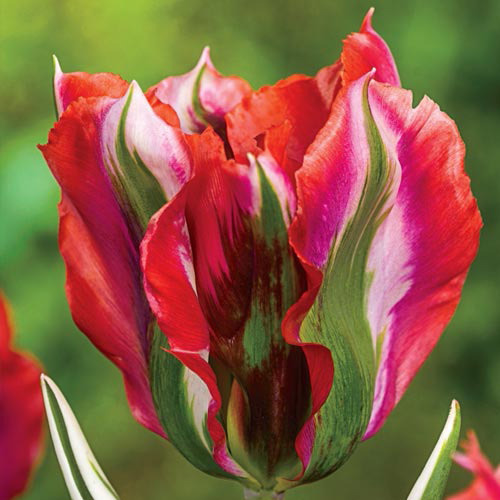 This tulip was introduced in 1968, but because it is slow to propagate, it is still rare, much like the language of its namesake. 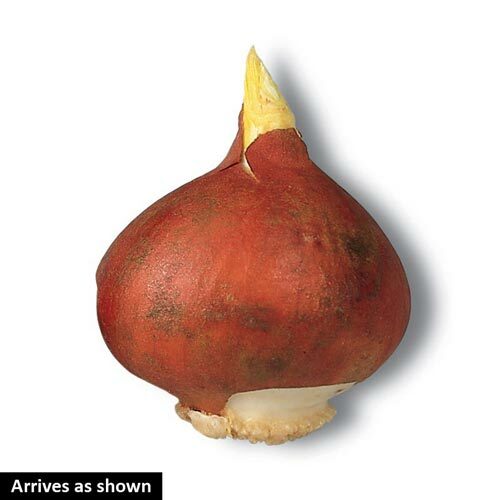 But now we're thrilled to offer the Esperanto Tulip exclusively to our preferred customers. A delicate China rose accented by a flamed midrib fading to dark red. Planting InstructionsPlant 7" deep and 4 - 6" apart during the fall. Soil RequirementRich, fertile, well-drained. Loosen soil about 10" deep before planting. PruningIt is important to let the foliage mature and die down naturally, do not cut back. Next year's bloom is being developed. When foliage is yellow or dried up. Deadhead after flowering. Additional InformationCan be damaged by slugs, aphids, and stem and blub eelworm. Unique CharactersticsBuds and the foliage are very decorative in the garden. A true eye catcher. Great for edging yards. Great for patios and containers. Perfect for city and courtyard gardens. Long lasting blooms - up to 3 weeks. Easy to grow. Excellent as cut flowers. Frost tolerant. Attracts butterflies. Low maintenance.